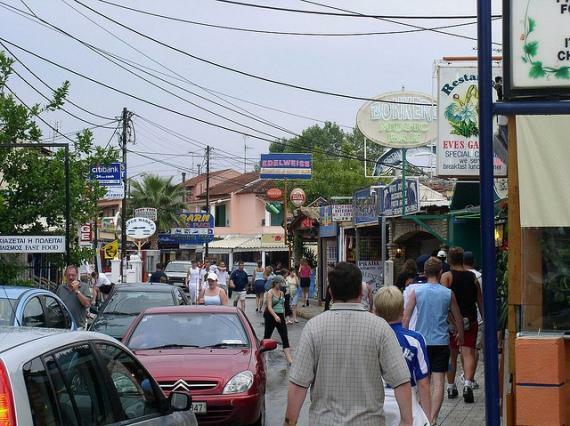 Kavos is located on the most southern edge of the island, just 46 km from the capital city and is undoubtedly the most exploited spots in the area of ​​Lefkimmi and one of the most popular youth holiday destinations. In recent years, it has become a paradise for young English tourists as it has without doubt everything young tourists are looking for, travelling to the southernmost tip of the island to have fun. The nightlife is intense with beach bars and clubs that are full even in early hours and stay open until the morning. In any case, you'll also find calmer spots in the larger area of ​​Kavos, including Evgeniadis, Armenos and Pantatika that are specifically attractive for families. Kavos is a coastal region at the edge of Corfu, in Lefkimi. The 'cavo bianco' of the Venetian period, where the famous battle between the Corinthians and Athenians took place during the Peloponnesian war, today is an area with an excellent infrastructure. It's also very popular for day trips that are being offered to Thesprotia, Paxos island and even Parga.